No dairy? No problem. My/Mo Mochi Ice Cream understands that dietary restrictions can prevent you from enjoying your favorite frozen snack. For anyone who’s allergic to dairy or is lactose-intolerant – don’t despair! It’s easy to find non-dairy and vegan ice cream options… and even easier to make in the comforts of your own home. Permission to pinch yourself. Combine the bananas (and/or other fruit) in a blender and pulse until smoothy. If the mixture is too thick, add plant-based milk to achieve the desired consistency. Add flavoring and sweetener, if using, and blend until combined. Serve and enjoy… sweeeet! 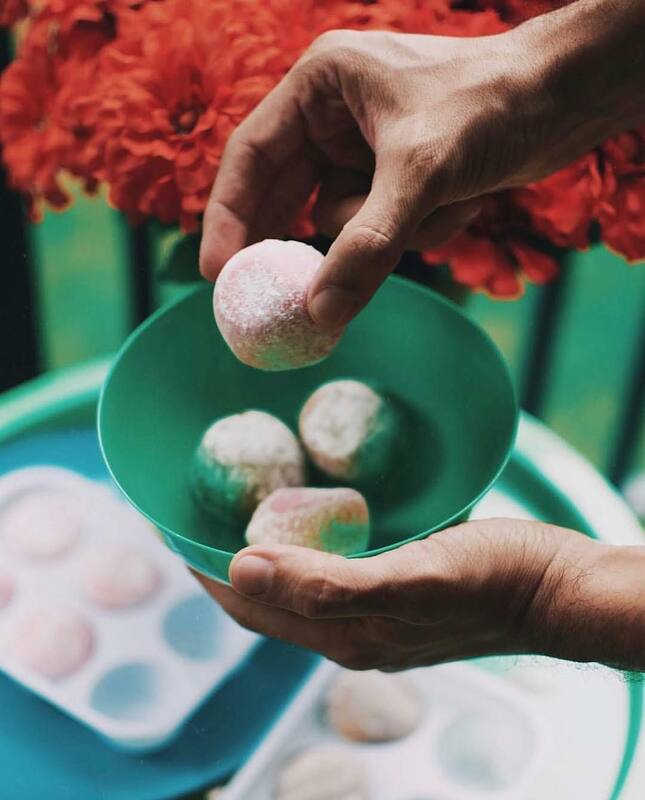 Don’t forget to try My/Mo Mochi Ice Cream’s four fabulous flavors of non-dairy and vegan mochi ice cream, including strawberry, salted caramel, chocolate and vanilla! It’s made with cashew cream to maintain that silky smooth and luscious, rich texture just for you. And let’s not forget the pillowy mochi dough. Hallelujah!